Our beautifully crafted black sunglasses with black lenses are ideal for most outdoor activities. 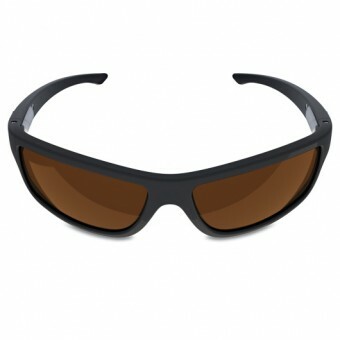 Charlie V's black lenses cut through glare, reducing eyestrain in moderate-to-bright conditions. They’re stylish and rugged so they’re well suited for ALL your outdoor activities. The world class twist and pivot hinge makes these sunglasses completely unique. No more unsightly bulge when you put them in your pocket. Each pair of Charlie V’s comes with a logo embossed case, a sunglasses pouch and a wipe cloth. All beautifully nested with your glasses in a handsome foil printed outbox. Our beautifully crafted black sunglasses with green reflective lenses protect your eyes while on the water, the ski slopes or the road. Charlie V's are polarized to cut down on annoying glare. They're stylish and rugged so they're well suited for ALL your outdoor activities. The world class twist and pivot hinge makes these sunglasses completely unique. No more unsightly bulge when you put them in your pocket. Each pair of Charlie V's comes with a logo embossed case, a sunglasses pouch and a wipe cloth. All beautifully nested with your glasses in a handsome foil printed outbox. Our beautifully crafted black sunglasses with blue reflective lenses protect your eyes while on the water, the ski slopes or the road. Charlie V's are polarized to cut down on annoying glare. They're stylish and rugged so they're well suited for ALL your outdoor activities. The world class twist and pivot hinge makes these sunglasses completely unique. No more unsightly bulge when you put them in your pocket. Each pair of Charlie V's comes with a logo embossed case, a sunglasses pouch and a wipe cloth. All beautifully nested with your glasses in a handsome foil printed outbox. Our beautifully crafted black sunglasses with silver reflective lenses protect your eyes while on the water, the ski slopes or the road. Charlie V's are polarized to cut down on annoying glare. They're stylish and rugged so they're well suited for ALL your outdoor activities. The world class twist and pivot hinge makes these sunglasses completely unique. No more unsightly bulge when you put them in your pocket. Each pair of Charlie V's comes with a logo embossed case, a sunglasses pouch and a wipe cloth. All beautifully nested with your glasses in a handsome foil printed outbox. Our beautifully crafted black sunglasses with rose gradient lenses are ideal for golfing because they block out glare from the sun on the top half and allow more light through the bottom half. Our rose gradient lenses are also great for driving as they cut sun glare while giving a clearer view of the dashboard. Charlie V's are stylish and rugged so they’re well suited for ALL your outdoor activities. The world class twist and pivot hinge makes these sunglasses completely unique. No more unsightly bulge when you put them in your pocket. Each pair of Charlie V’s comes with a logo embossed case, a sunglasses pouch and a wipe cloth. All beautifully nested with your glasses in a handsome foil printed outbox. Our beautifully crafted matte black sunglasses with black lenses are ideal for most outdoor activities. Charlie V's black lenses cut through glare, reducing eyestrain in moderate-to-bright conditions. They’re stylish and rugged so they’re well suited for ALL your outdoor activities. The world class twist and pivot hinge makes these sunglasses completely unique. No more unsightly bulge when you put them in your pocket. Each pair of Charlie V’s comes with a logo embossed case, a sunglasses pouch and a wipe cloth. All beautifully nested with your glasses in a handsome foil printed outbox. Our beautifully crafted matte black sunglasses with green reflective lenses protect your eyes while on the water, the ski slopes or the road. Charlie V's are polarized to cut down on annoying glare. They're stylish and rugged so they're well suited for ALL your outdoor activities. The world class twist and pivot hinge makes these sunglasses completely unique. No more unsightly bulge when you put them in your pocket. Each pair of Charlie V's comes with a logo embossed case, a sunglasses pouch and a wipe cloth. All beautifully nested with your glasses in a handsome foil printed outbox. Our beautifully crafted matte black sunglasses with blue reflective lenses protect your eyes while on the water, the ski slopes or the road. Charlie V's are polarized to cut down on annoying glare. They're stylish and rugged so they're well suited for ALL your outdoor activities. The world class twist and pivot hinge makes these sunglasses completely unique. No more unsightly bulge when you put them in your pocket. Each pair of Charlie V's comes with a logo embossed case, a sunglasses pouch and a wipe cloth. All beautifully nested with your glasses in a handsome foil printed outbox. Our beautifully crafted matte black sunglasses with silver reflective lenses protect your eyes while on the water, the ski slopes or the road. Charlie V's are polarized to cut down on annoying glare. They're stylish and rugged so they're well suited for ALL your outdoor activities. The world class twist and pivot hinge makes these sunglasses completely unique. No more unsightly bulge when you put them in your pocket. Each pair of Charlie V's comes with a logo embossed case, a sunglasses pouch and a wipe cloth. All beautifully nested with your glasses in a handsome foil printed outbox. Our beautifully crafted matte black sunglasses with rose gradient lenses are ideal for golfing because they block out glare from the sun on the top half and allow more light through the bottom half. Our rose gradient lenses are also great for driving as they cut sun glare while giving a clearer view of the dashboard. Charlie V's are stylish and rugged so they’re well suited for ALL your outdoor activities. The world class twist and pivot hinge makes these sunglasses completely unique. No more unsightly bulge when you put them in your pocket. Each pair of Charlie V’s comes with a logo embossed case, a sunglasses pouch and a wipe cloth. All beautifully nested with your glasses in a handsome foil printed outbox. Our beautifully crafted white sunglasses with black lenses are ideal for most outdoor activities. Charlie V's black lenses cut through glare, reducing eyestrain in moderate-to-bright conditions. They’re stylish and rugged so they’re well suited for ALL your outdoor activities. The world class twist and pivot hinge makes these sunglasses completely unique. No more unsightly bulge when you put them in your pocket. Each pair of Charlie V’s comes with a logo embossed case, a sunglasses pouch and a wipe cloth. All beautifully nested with your glasses in a handsome foil printed outbox. Our beautifully crafted white sunglasses with brown lenses are ideal for most outdoor activities. Charlie V’s brown lenses cut through glare, reducing eyestrain in moderate-to-bright conditions. They’re stylish and rugged so they’re well suited for ALL your outdoor activities. The world class twist and pivot hinge makes these sunglasses completely unique. No more unsightly bulge when you put them in your pocket. Each pair of Charlie V’s comes with a logo embossed case, a sunglasses pouch and a wipe cloth. All beautifully nested with your glasses in a handsome foil printed outbox. Our beautifully crafted white sunglasses with green reflective lenses protect your eyes while on the water, the ski slopes or the road. Charlie V's are polarized to cut down on annoying glare. They're stylish and rugged so they're well suited for ALL your outdoor activities. The world class twist and pivot hinge makes these sunglasses completely unique. No more unsightly bulge when you put them in your pocket. Each pair of Charlie V's comes with a logo embossed case, a sunglasses pouch and a wipe cloth. All beautifully nested with your glasses in a handsome foil printed outbox. Our beautifully crafted white sunglasses with blue reflective lenses protect your eyes while on the water, the ski slopes or the road. Charlie V's are polarized to cut down on annoying glare. They're stylish and rugged so they're well suited for ALL your outdoor activities. The world class twist and pivot hinge makes these sunglasses completely unique. No more unsightly bulge when you put them in your pocket. Each pair of Charlie V's comes with a logo embossed case, a sunglasses pouch and a wipe cloth. All beautifully nested with your glasses in a handsome foil printed outbox. Our beautifully crafted white sunglasses with silver reflective lenses protect your eyes while on the water, the ski slopes or the road. Charlie V's are polarized to cut down on annoying glare. They're stylish and rugged so they're well suited for ALL your outdoor activities. The world class twist and pivot hinge makes these sunglasses completely unique. No more unsightly bulge when you put them in your pocket. Each pair of Charlie V's comes with a logo embossed case, a sunglasses pouch and a wipe cloth. All beautifully nested with your glasses in a handsome foil printed outbox. Our beautifully crafted white sunglasses with rose gradient lenses are ideal for golfing because they block out glare from the sun on the top half and allow more light through the bottom half. Our rose gradient lenses are also great for driving as they cut sun glare while giving a clearer view of the dashboard. Charlie V's are stylish and rugged so they’re well suited for ALL your outdoor activities. The world class twist and pivot hinge makes these sunglasses completely unique. No more unsightly bulge when you put them in your pocket. Each pair of Charlie V’s comes with a logo embossed case, a sunglasses pouch and a wipe cloth. All beautifully nested with your glasses in a handsome foil printed outbox.